Simple yet elegant, the Michie promises to be a perfect match for tights and dresses. Beautiful leather or suede, uninterrupted but for the zipper with tassel pull, looks clean and contemporary and rises to any occasion. Love, love, love. So comfortable I don't even register I'm wearing heels like I usually do. Probably a tiny bit narrow, but not problematic for my average medium-width feet. Beautiful and comfortable. Have not had the chance to wear them but was surprised by the cushion in the footbed and the ease in walking for this non heel wearer. The heel is comfortable. True to size, with room for leggings and stockings. Leather is somewhat stiff at the opening. That is not to my liking. 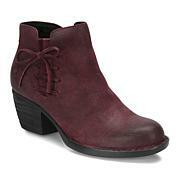 The tall suede boots from Born, are super soft, but these leather bootie lacks same comfort. They are not cheap. 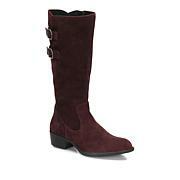 Thinking of returning them, and trying the Donald Pliner black suede bootie instead. Suede usually feels more gentle than leather on the feet. 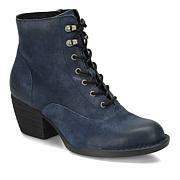 There's always a time and a place for ankle boots. 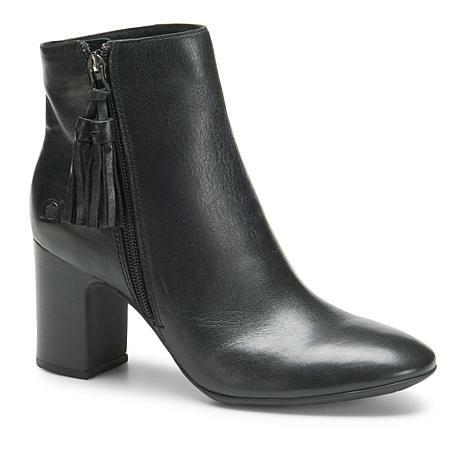 This classic, sleek leather pair by Franco Sarto is a timeless staple for your year-round wardrobe. 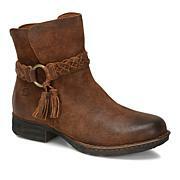 With jeans and a heavy coat or a sweet sundress, you'll absolutely love the Brady.